Enjoy your outdoor space beyond summer and into the cooler months with the EvenGlo Portable natural gas heater. The beautiful and sleek 316 stainless steel design will look modern and polished in your outdoor space. The EvenGlo Portable Heater is commercial grade, but can also be used at private residences. It is manufactured in Canada under strict ‘authorized’ guide lines. 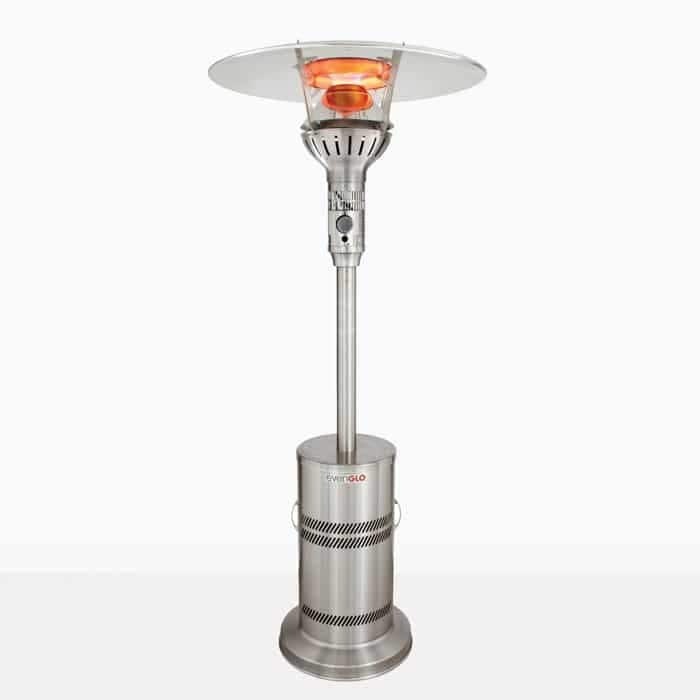 These luxury heaters have the highest standards for quality and performance. Design Warehouse is the exclusive supplier in New Zealand. The EvenGlo has burner reflector technology and can be moved depending on where you need more heat. 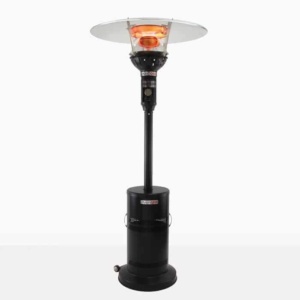 It throws radiant heat while being efficient keeping your area and guests warm. It has a two-stage BTU/hr with 53,000 for high and 46,000 for low. It measures 230cm high and has a tip/tilt switch for safety.